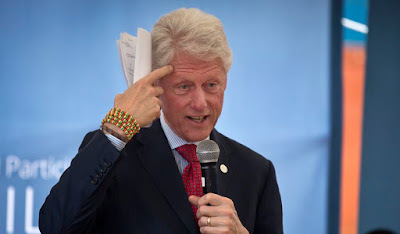 Former President Bill Clinton will headline Ripple's Swell conference later this year, the cryptocurrency payments startup has announced, reports CoinDesk. Slick Willie will both give a keynote address and participate in a question-and-answer session, Ripple said in a press release. The question-and-answer session will be hosted by former National Economic Council director and advisor Gene Sperling, who served under both Clinton and President Barack Obama, and is currently on Ripple's board of directors. The Swell 2018 conference will take place in the People's Republic of San Francisco from Monday, October 1 to Tuesday, October 2. What does Slick know about cryptocurrencies? What does Slick know about payments systems? He's slick and will be able to talk about digital currency nonsense on no time.